Chinese Premier Li Keqiang will lay out his plans for the economy on Sunday. He’s expected to announce that the government will maintain its current growth target 6.5% to 7% of GDP and outline measures to curb oversupply. A 7% increase in defence spending is also expected to be formally announced. While this may sound significant, it is the slowest rate of expansion since 2010. 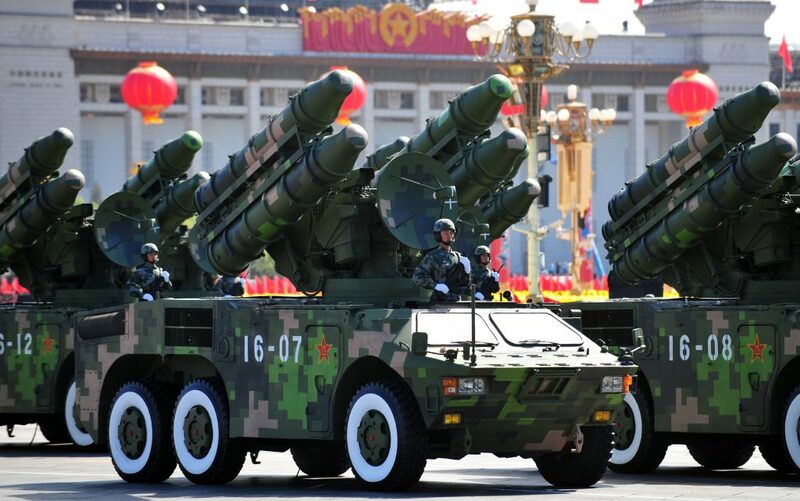 Nonetheless, at $215 billion, China is the world’s second largest defence spender. The leader of the largest, US President Donald Trump, also announced an increase this week, outlining a plan to add $54 billion to the Pentagon’s budget – a 9% increase. This will raise the total figure from $549 billion to $603 billion – more than China and the next 10 countries combined. The arms splurge on both sides of the Pacific will increase jitteriness in Asia. Washington and Beijing have very different views on security in the South and East China Seas and have brought their considerable naval capabilities to bear in these theatres. Might we be on the verge of a new arms race?